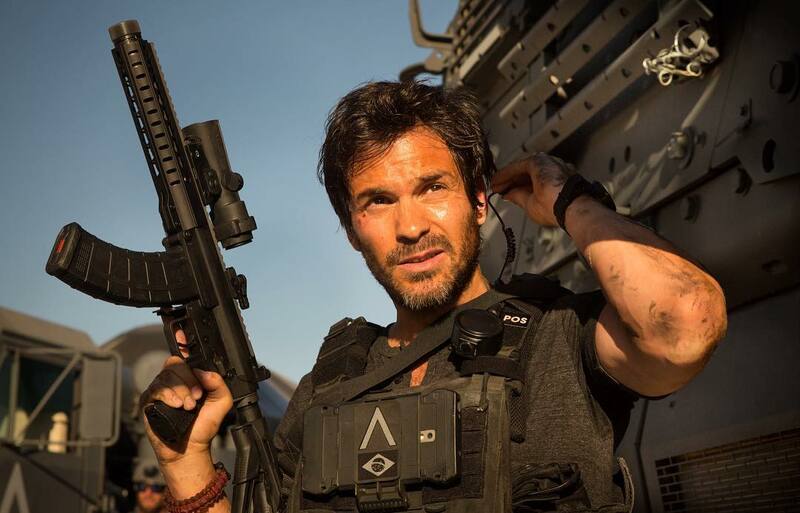 Santiago Cabrera who is best known for his role of Isaac Mendez in the hit TV series Heroes, has joined the cast of Transformers: The Last Knight. The official Instagram account of the Transformers live action movie series has posted the following announcement with the image mirrored on this news post. I hear he's been in the BBC show 'Merlin'. … Hmm … I guess then … Nope, I won't say it. Won't say it. Bumblebee's 'new' Camaro form wasn't even a production car – that was a rushed fiberglass shell fitted on a Mustang chassis. It was a GTO actually. Nice of you to forget about the high end cars like the Bugatti and the Maybach. I especially like the part where you pretend it would make a difference. If they wanted and/or more importantly NEEDED them to say something then they WOULD, regardless of alt. modes. We've already seen holographic avatars and alt. modes communicating with headlights, subtitles, etc. so it's MORE than clear that they know those options are available to them. It's THAT simple and they KNOW it. And OMFG LOL at the "provably lacking" CGI of TF:AoE, phhft. The CGI in AoE is provably lacking, though. Simply the designs? So make them more humanoid? People are bitching about the designs not looking like they transformer in to vehicles anymore. Frankly if we just went back to how the first film modeled the Transformers, that would be preferable to ROTF's sheer overcomplexity (Mixmaster, for instance) and AoE's designs being too streamlined or physically impossible to render as toys. Or Dinobots. Ever since somebody told me they kinda look like rejected Lord Zedd designs I can't stop seeing it. Make them less detailed? How do you think that would look matted into HD live action footage? Remember how people were bitching that the cgi in the first teaser for AoE looked bad because it was incomplete and lacking detail? Having them talk while in vehicle mode is a terrible replacement for Transformer interaction. And holo drivers? How is that any different from humans talking? Pretty sure she talked in her 'alt. mode' of human appearance. Oh, and then the original Movie Optimus toy has a holo driver. And it isn't a static detail, either – you open that door, and the little cowboy driver flips backward into the headboard, leaving an empty seat. Close the door and he returns. These aren't excuses, it's reality. So having sentient mechanical lifeforms who are merely disguised (like, a more advanced form of crouching let's say) as real life vehicles and stuff but are not actually those things, in a setting implying that they are made from metal created from hitting dinosaur bones with a laser, is still too real to believe that people talking to cars – which is a thing humans do in true real life – for a moment or two won't make sense in the films? Actually the "hero" cars generally cost MILLIONS of dollars, which the movie capitalizes on in kickbacks anyway, if you really wanna be pedantic about it. Don't be any more ridiculous than usual, plz. Yeah, did you forget that most of the prop cars for the crap Camaro BB were actually bought on eBay, the cheapest being $2,000 and didn't even run? Oh, or how about one of the three Peterbuilts used for Prime's truck mode? It wasn't built new for the film! Ironhide was a stock GMC Topkick with some custom parts…later made available as an option kit for retail vehicles. Blackout was loaned from the US Armed Forces – the reason Grindor in ROTF is a slightly different type of heli is because between the films, the Pave Low type helicopter was retired from service. Barricade was a production S261 (or something) Saleen Mustang Police custom. Bonecrusher was a slightly modified minesweeper – the only modification being the plow arm being made more menacing for the purposes of the film. And then going over to DOTM, Sentinel Prime's firetruck was a production vehicle. 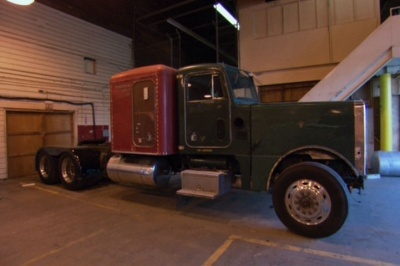 After filming was done they sent the truck BACK to the factory where it was repainted and actually given to a fire crew for active service at an airport or something. Then, in AoE, they literally rented Bumblebee's not-modern-Camaro alt. mode from a guy. I mean, I want a better human-robot screentime balance, and I'm hardly a champion of the TFMV, but I can't agree with the logic of more humans means less transformers. What do you think, that ILM turn up to work in morning and say "hey bay we made this great scene of drift and sideswipe sparring while discussing old war stories" and bay says "oh sorry guys we have to cut that, I need to put this scene of Mark walberg baking a cake into the movie!" Humans are here to connect the dots between transformer scenes. It's the choice of humans and how they're written that's often the problem, and even that seems to be improving. Yeah, WASTING cg time is also a problem! No, I think the point is that they have moved on from using physical car props. Every time a car is simply around doing nothing, that is in fact thousands of state of the art CGI being rendered. The images where we first got a glimpse of Barricade, the VW van, the green tow truck, and those "V" military trucks? ALL of those are CGI based on what is being argued here. I mean, it's the only reason why scenes where the humans interact with the cars like other characters can't be done. That one sequence in ROTF where Bumblebee is doing all kinds of crazy stuff to Alice when she's riding in his passenger seat must have cost like, $50K just to render the car. Simply the designs? So make them more humanoid? People are bitching about the designs not looking like they transformer in to vehicles anymore. Make them less detailed? How do you think that would look matted into HD live action footage? Remember how people were bitching that the cgi in the first teaser for AoE looked bad because it was incomplete and lacking detail? Simplify the designs, give them Holomatter avatars in vehicle mode, have them talk in vehicles, there's tons of ways to have them give the robots more screen time that would save money, there's no excuse now. Admittedly I'm getting tired of the human announcements too, not because I think they'll take screentime away from the Transformers, more of that I'm hoping to get more info on the Transformers themselves. …which in turn costs $$$.